Sam Francis was an American artist known for his exuberantly colorful, large- scale abstract paintings. 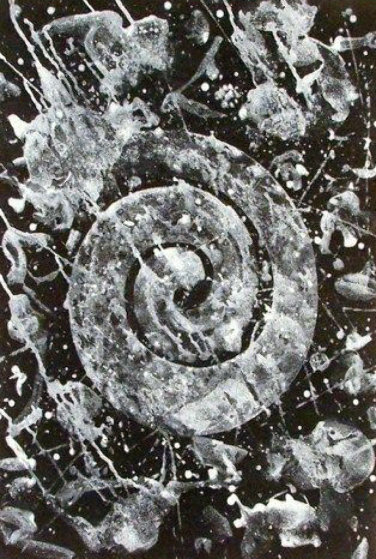 His practice incorporated elements from Abstract Expressionism, Color Field painting, Impressionism, and Eastern philosophy to create a unique style of painterly abstraction. 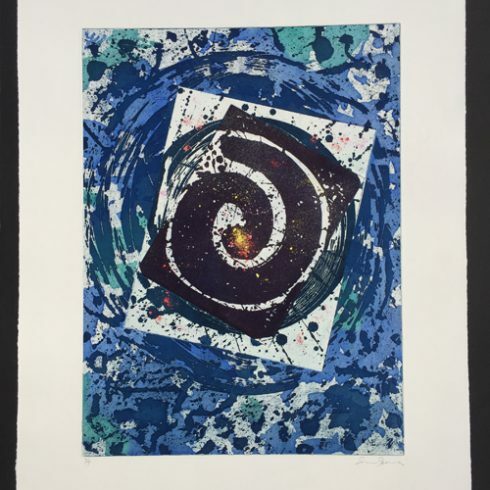 Our Fine Art Gallery has the finest quality Sam Francis original prints, lithograph, monotype, etchings, aquatints, works on paper, and posters. We have a large inventory available off-site and we encourage you to make an appointment to see specific works you are looking to collect. We are happy to meet you at either our art gallery showroom or at your home or office for a private presentation. Artist Sam Francis was late to start his successful and brilliant career as a painter and printmaker. Sam Francis was born in San Mateo California in 1923. Sam Francis attended the University of California, Berkeley, where Francis studied botany, medicine and psychology. Shortly thereafter, Sam Francis served in the United States Air Force during WWII where he suffered injury in a plane crash. Francis was in the hospital for several years, and it was there that Sam Francis began to paint, and develop his love for art. Finding an artistic voice was therapeutic for Francis, and the art created in this time had a great influence on his emotional recovery. After his released from the hospital, Sam Francis returned to U.C. Berkeley to study art, and eventually earned both a B.A. and an M.A. During the late 1940s, Sam Francis began producing and exhibiting his earliest abstract artworks. Francis was initially influenced by the work of the Abstract Expressionists, like Mark Rothko and Arshile Gorky, and Sam Francis incorporated many of their techniques and ideas in his art. Despite this influence, Sam Francis’ art was also in close dialogue with modern and contemporary French art. His references ranged from the Water Lilies of Claude Monet, which inspired many of Sam Francis idea about atmosphere and space, to Pierre Bonnard and Henri Matisse, whose conceptions of pure color were particularly resonant with Francis. Launching what would turn out to be a decade of travel abroad, Sam Francis left California for Paris in 1950 and studied art briefly at the Academie Fernand Leger. While there, Sam Francis became friends with several American artists, as well as more established European artists including Alberto Giacometti. 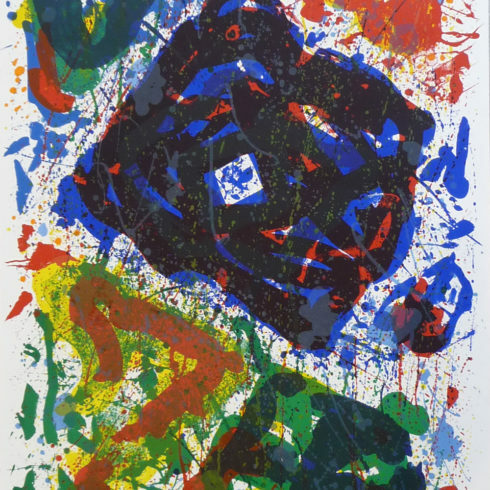 Sam Francis quickly began exhibiting his art, participating in the 1950 Salon de Mai in Paris, as well as several group art shows, including the critic Michel Tapie’s celebrated 1951 exhibition, Un Art Autre, which was shown in both Paris and London. In 1952 Sam Francis had his first one-man-art show in Paris and became an accepted as a member of the young European avant-garde. 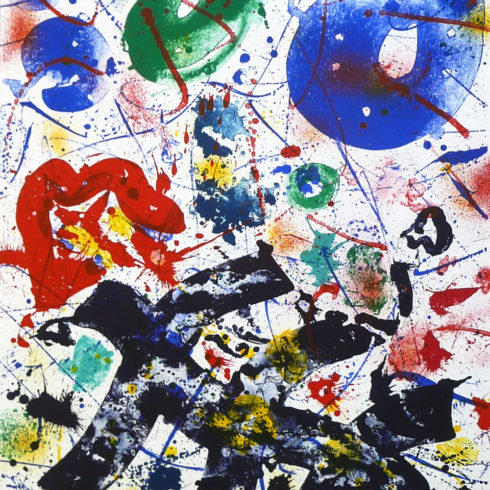 Sam Francis showed his artwork in several solo exhibitions and high-profile group exhibitions, such as 12 Americans at the Museum of Modern Art (1956), New American Painting (1958), and 1959 exhibitions Documenta II and the Bienal de Sao Paulo. While living in Paris, Sam Francis became associated with the tachistes (from the French word, tache, meaning a splash or stain). Taschisme was the European equivalent of the American Abstract Expressionist movement. This is where Francis’ spontaneous and impromptu brush work, drips and scribbles of paint from the brush or directly from the tube heavily characterized his artwork. During the 1950s, Sam Francis traveled to Thailand, India and Japan, where he owned a home and a studio. 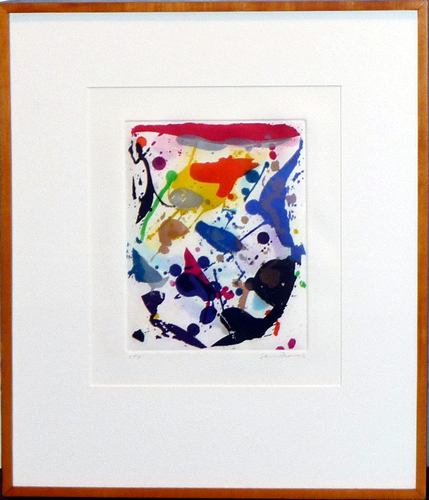 Japanese calligraphy and art, particularly the Japanese use of negative space, had a profound influence on Sam Francis’ art. Sam Francis investigated perceptions of light and color by contrasting glowing jewel tones with large areas of white. White in Sam Francis’ art does not function simply as a ground against which he applies color. Rather, the white areas are engaged in active dialogue with the colors. Influenced by Zen Buddhism and the Japanese tradition of calligraphy, Sam Francis also incorporated the spirit and aesthetic of haboku, a Japanese style of drips and flung ink, in his paintings and original prints. Sam Francis’ calligraphic handling of brushwork and the lyrical character of his fluid color now linked Frances with Far Eastern art. Sam Francis returned to California in 1962, settling at first in Santa Barbara and then establishing a studio in Venice Beach, Santa Monica in 1963. During the 1960s Sam Francis developed his own distinctive style of Spontaneous and Gestural Dripping. Working in the print medium, Sam Francis developed thousands of original prints including: lithographs, etchings, aquatints, and monotypes. Francis’ preoccupation with printmaking led to the production of striking experimental prints in the early 1980s. Forcefully expressive print compositions in several parts, some of them with running paint, are the hallmark of these years. Considered one of the premier colorists of the twentieth century, Sam Francis is best known for dramatic, lushly painted works comprised of vivid pools of color, thinly applied. Drips, gestures, and splatters of paint in Francis’ art have led many to identify him as a second-generation Abstract Expressionist, but Francis has also been compared to Color Field artists on the basis of large, fluid sections of paint that seem to extend beyond the confines of the pictorial surface. Sam Francis died in Santa Monica, CA on November 4, 1994.